From HQ: Are you looking for a kite you can trust 100%? One that won’t let you down even in extreme backcountry situations? One that lets you safely scale lofty heights? Especially for you, we have developed the Apex to be one of the best companions you can find for exploring the backcountry. Maximum control, great stability and ample depower performance make this kite your perfect partner while you steadily improve your personal best. No need to fear making mistakes. 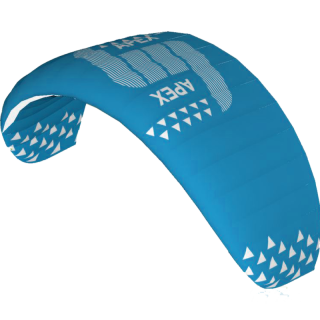 The Apex is quite forgiving and makes it extremely easy for you to get started with kiting. The Apex has a small number of cells and a thick profile. The kite has been specifically designed for flying in difficult wind conditions with maximum stability. The outer cells remain deliberately unleashed to generate better aerodynamics at the wing tips. The bridle of the Apex is made from robust, sleeved Dyneema, providing long life even in the toughest conditions. Mixer line and pulleys are precisely matched. 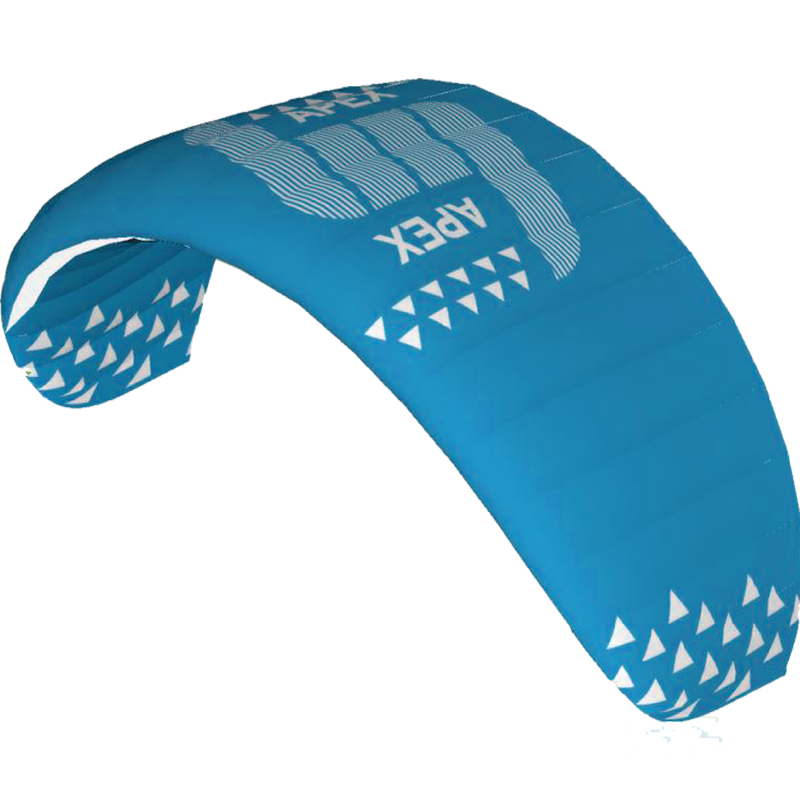 ​The sail is made from durable 40D ripstop nylon with a great track record of reliability over the years. The inner cells are reinforced with additional webbing at the air vents.